PART OF OUR MISSION AT FORTUNE these past many decades has been to benchmark success. Our well-established rankings, though, don’t merely show who’s up and who’s down from one year to the next. They reflect the changing face of business—and, to a fair extent, of society itself. 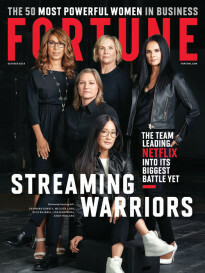 Consider our 2018 “Most Powerful Women” list—the 21st edition of what we, at Fortune, consider to be one of our most prestigious franchises. The No. 1 picks on our U.S. and international rankings, respectively, reveal plenty about our changing world: Marillyn Hewson, chief executive of Lockheed Martin, who tops our domestic list (and commands our cover), is part of a coterie of women CEOs who now utterly dominate America’s defense industry, a sector long ruled by men. Four of the top five military contractors in the U.S., in fact, are (or will soon be) run by women. See Jen Wieczner’s insightful essay and interviews. See the full Most Powerful Women 2018 list. / See the full International Edition of our Most Powerful Women 2018 list. 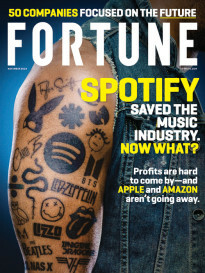 Meanwhile, Emma Walmsley, who became the first (and so far, only) woman to lead a large, innovative pharma company, is leading a quiet revolution of her own at British drug giant GlaxoSmithKline (gsk)—a story masterfully told by Fortune’s Erika Fry and Claire Zillman. But this year’s MPW list and accompanying feature stories—all expertly overseen by deputy digital editor Kristen Bellstrom and senior writer Beth Kowitt (both seated in the right photo, above)—also reflect a more sobering business change: a counterintuitive and unfortunate strengthening of the glass ceiling. As KB and BK point out in their introduction to the package, there are just 24 women CEOs on this year’s Fortune 500, down from 32 the year before. Kristen and Beth spent much of the past summer assembling and vetting the list and putting this issue together. As did the rest of the team assembled above. Fortune photo director Mia Diehl even made sure that all of our MPW feature subjects were photographed by women. As for benchmarking success, well, there is one ranking I feel more confident about than ever: The team shown above is the best in the business.